Just saw this quote from Mabel @ GirlsOnTheMoney.com and cannot get enough of it!! How true is this??? If you can afford the product, you can afford the stock! You literally have the cash in your hands! But how many of us spend gobs of money buying up clothes or coffees, iPhones, laptops, and basically a million dollars on Amazon every month, only to then turn around and say we “can’t afford” anything? In fact, I really wish the whole “I can’t afford it” line would just go away in itself as it’s only ever used in a negative light vs an empowering one… There’s really no shame in not being able to afford things if that’s truly the case (millions of people are struggling out there! ), but this whole fake “woe is me, I can’t afford blah blah blah” should be wiped away for good. If you’ve got internet connection right now, you have control of where your money goes. Even if it’s not a lot. Perhaps we can change it to “I can’t afford XYZ, because I *CHOOSE* to spend money on ABC instead?” Much more accurate, while at the same time taking ownership! Regardless of whether your money’s going somewhere productive or not. If you can afford the product, you can afford the stock. Yes – nailed it, Mabel. And really, this applies to “investing” in general and not only individual stocks, although there’s nothing wrong going that route either. I love seeing people put their money where their values are, and one strategy you commonly see are those scooping up investments of companies they love and use in any given day. Might not necessarily give you a financial edge, but it does feel good. TJ Maxx (TJX) — Put in $2,000. Now worth $2,182.37. Target (TGT) — Put in $2,000. Now worth $2,161.83. Starbucks (SBUX) — Put in $2,000. Now worth $1,987.10. Panera Bread (PNRA) — Put in $2,000. Now worth $2,040.89. Amazon.com (AMZN) — Put in $2,000. Now worth $2,524.92. Again, not enough time and way too many variables to accurately portray this strategy, but it still served its purpose of getting me *to act*, and more importantly – to learn. Even if I eventually chose a different long term strategy in the end (which you now know became index investing). All this to say that yes, most of us truly CAN save and invest more, but you have to really commit to it and want it enough to make it happen. Investing isn’t always as fun as having a new phone or computer or new line of beanie babies on the market (they’re making a comeback – watch out!! ), but it’s easier than ever to start *small* these days and then ramp it up from there. Make *one* less transaction a month, and then redirect the money into investments instead. Use an app, pick them out manually, or automate it every month – whatever it takes! Not only won’t you miss the money, but you’ll feel more confident with each passing month. 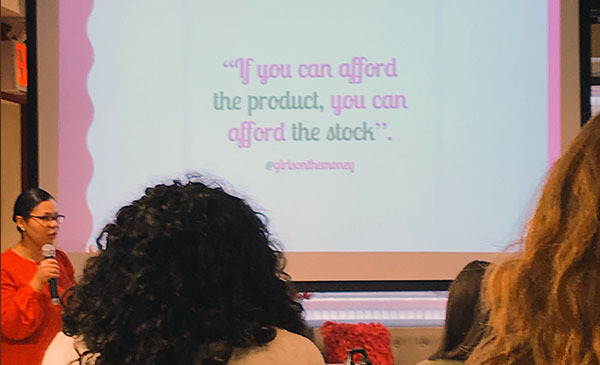 PS: For further reading, see Mabel’s presentation she did at the conference: “Investing 101: Pathway To Wealth” (Powerpoint doc) It’s geared towards women and beginners, but there’s tons of nuggets for everyone in it. Huge thanks for letting us pass it around, Mabel! Oh cool, I was not aware of this event at all! I can’t believe you didn’t buy Chipotle stock, I imagine you were a Chipotle fan! And yes people still shop at Express hahah. My friend and I went there to buy her casual work clothes last weekend. Haha… Chipotle is pretty good! I love Chipotle! I actually go every Friday for my end of week meal lol! If you’ve got internet connection right now, you have control of where your money goes. Even if it’s not a lot. While I agree with you 100%, some bloggers have been catching flak for saying things like this. There’s been a lot of criticism coming from some circles saying “if someone is only making the median salary in America or below, they really can’t save”, or “This FIRE stuff is for you high income people only” or some version of that. I don’t buy it. Mainly because I once made WAY less than the median salary in America and I still saved. And I know people who do it now. Liked this comment – very true that some people do save and some don’t in different level of incomes. When I speak about situations, I mean that someone who has 3 children as a single parent that works a low paying job, that is one tough spot to save in. If there is someone who is single, has no big debt, and makes less than the median – most likely they should still be able to save! Oooooh that is good!!! I like that!! Are those today’s numbers on that “buy the companies you love” stock selection? Or the prices 9 months after you bought them? I wonder what the prices would have been today if you had bought/held/reinvested dividends….. They were the results from years ago! I’m sure they’d def. be higher these days!! A million dollars at Amazon every month…..hahahahaha!!!!! That’s why Jeff is the richest human to ever walk the Earth. Have you ever calculated how much you’ve spent on them over the years?? I have perused my ordering history from time to time. For instance, I placed 14 orders in 2017. Not too bad, most things I got full use out of, a few items I should not have purchased. It is AMAZING to see how long one has had an account. For me, 18 years just regular account…never Prime. I never understood the concept of paying a monthly fee to buy things at your store. But hey, obviously it works for him. But yes, like your friend, when I’m ready to throw up or pass out, I’ll check on those early years when I was a stupid idiot buying crap and tally it all up :-) Have a great week!! 18 years!! That is incredible! It’s like opening up a history book. Awesome quote and my hubby recently bought a pair of dress pants from express. Their fancy clothes fit his slim tall frame well. And we had $40 in coupon codes…so $7 and we had some fancy clothes for him. I like to say something like “I can’t afford it while still accomplishing my goals.” I’m lucky enough to be in a strong enough financial position. I can “afford” to pay for anything that’s not too crazy. But in almost all cases, I don’t want too. Even something as small as buying coffee out of the house is off limits most of the time. Why? Because I want to buy my freedom. Quitting my job today to spend a year traveling would be fun. On the other hand it would probably set me back about 5 years towards financial independence. If I wait to reach my goals, I can travel around indefinitely (if I want to). I’ll take 5 years over 1 every time! That’s a good way to put it too – “I can’t afford it while still accomplishing my goals.” I wonder how different our society would be if people changed their wording like that? Gives off such a different tone, doesn’t it? I once laid out all of my family’s Apple products on a table and it hit me in that moment to “buy what you use” when buying stock. It was one of the few times I used a Warren Buffet axioms in real life. This was 10 years ago and needless to say, it was a good choice. This is an interesting concept. I have never thought about buying Costco or shoppers stocks although our family shops at those places all the time. 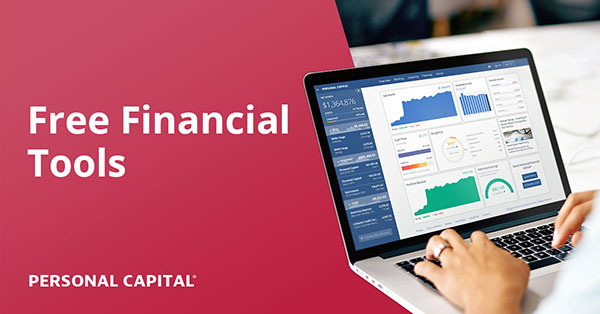 To take it to another level, you should also invest in the financial products that we use. So which credit card do you use the most? Go and buy that credit card company. With so many incentives to use your credit cards, theses companies will make more and more money every year. This is a cool concept – one that I’ve considered implementing but haven’t executed yet. I purchased Shell when oil was going up last time. I figured it’s a good bet since we drive a regular car. It worked out for the most part. The dividend more than cover our gasoline cost over the last few years. We don’t drive that much. Along with buying ethically, I buy the stock of any product that I like enough to use regularly and where I like the way they run their business (sustainable) and treat their employees (ethical!). You can do the same thing with mutual funds or index funds, just invest the same amount as the stock you like every month into the fund. Plus some of the SP 500 funds, most likely already has all the stocks you favor within the fund. Good post, I made a similar one a while back. Not a bad idea either! I like that! When my Grandmother was in charge of cancer research in Eastern Star, I went to many chapters and spoke about the power of their gifts and what they had done. The phase I used at the end of the lecture was “Skip one dinner and give $25 to cancer research.” If we all only skipped going out one time and stayed home and had sandwiches instead, we could raise millions for cancer research. We usually had more donations that night than the group had given in the prior two years. Having enough money is not usually our problem. Allocating our money to the things that matter is where we falter. We do have enough to invest, we just choose to spend it instead. Great quote. I have started using “It’s not in my budget right now”. And if whatever it is, is that important then I make my budget work for it. Having that shift in mindset has been literally life altering. This post is great. Forget the whole I can’t afford it line!!! Priceless! I’m right there with you. I started buying stocks in companies I used often like Apple, M.A.C. Cosmetics, Macys and Amazon. Previous post: When was the last time you Tip’d yourself? Next post: A Bunch of Ways to Stash Money Aside!